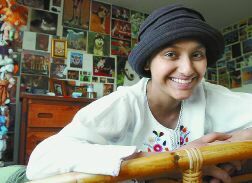 This site is dedicated to preserving the memory of Sonia Bawa a young peace activist who lost her battle with leukemia at age 15. During her brief life she advocated using a small portion of the money that is being spent on war to be used to fund research to find a cure for life threatening illnesses such as cancer. You can learn more about Sonia's cause by visiting the website that she started from her hospital bed by clicking on the links below. On January 10, 2007, a private concert was held in Celebration of Sonia Bawa's Life at the Bawa residence. Over 50 persons attended and participated in this funfilled event while enjoying an evening of exhilirating live music, by grammy nominated singer SONiA and Laura of disappear fear. They remembered Sonia and her Cause for finding a cure for childhood cancer and supporting world peace. On January 8, 2006, a Concert was held in Celebration of Sonia Bawa's Life and to Raise Awareness of her cause. Over 356 persons came and participated in this funfilled event while enjoying an evening of exhilirating live music, by grammy nominated singer SONiA of disappear fear and local talent The Atoll, while sipping their favorite beverage at the Sunset Event Center in beautiful, historic downtown Fort Collins. All proceeds will be used to support Sonia Bawa's cause of finding a cure for childhood cancer. On Aug 6, 2005, several Fort Collins residents gathered to commemorate the 60th anniversary of the atomic bombing of Hiroshima. This also marked the successful completion of the "1000 Points of Life" Campaign started by Sonia. Present were Mako Beeken, who was the driving force for placement of 1400 paper Cranes-For-Sonia at the memorial park in Hiroshima, Japan in honor of Sadako, a leukemia patient whose campaign and suffering parallels that of Sonia, 60 years earlier. On May 8, Mother's Day, a "Sitting Area", funded by an anonymous contributor was dedicated in Sonia's honor in the Foxhills Community which was Sonia's home in Fort Collins, CO. The simple ceremony was attended by Sonia's close friends and neighbours. A commemorative plaque set in stone was placed next to a bench. The inscription "Don't Worry, Be Happy", capturing her philosophy of life was engraved in the plaque. Look at Sonia's new online photo album filled with pictures of her life, vacations, her friends and family. On January 8, 2006, a Concert was held in Celebration of Sonia Bawa's Life. Over 356 persons attended and participated in this funfilled event while enjoying an evening of exhilirating live music, by grammy nominated singer SONiA of disappear fear and The Atoll, while sipping their favorite beverage at the Sunset Event Center in beautiful, historic downtown Fort Collins. They learned about Sonia Bawa's Cause For finding a cure for childhood cancer and supporting world peace. All proceeds will be used to support Sonia's vision of finding a cure for childhood cancer. Interestingly SONiA of d.f. 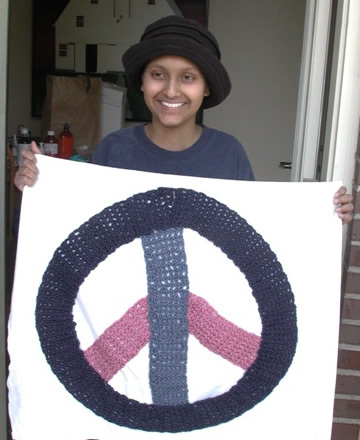 is helping to spread Sonia Bawa's Message of Peace While Finding A Cure For Cancer! 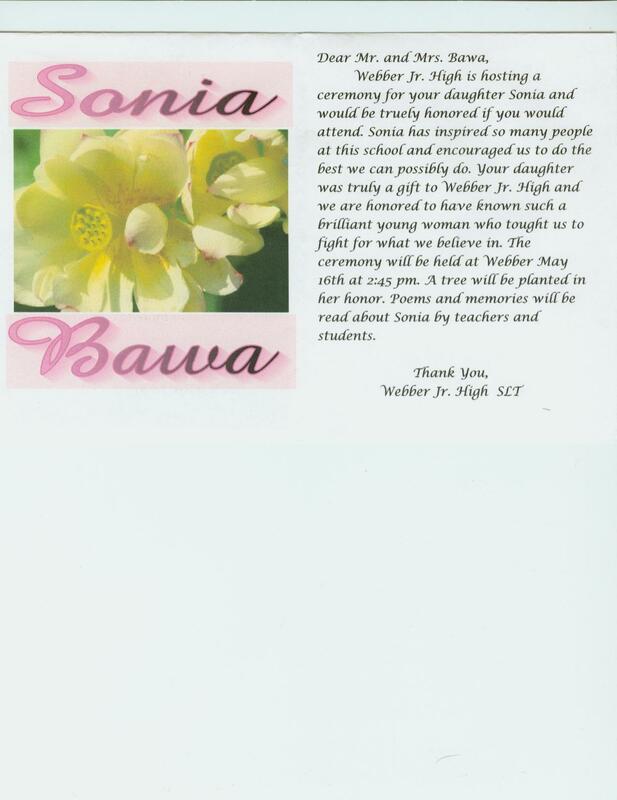 On May 16, 2005, 2:45 pm Webber Jr.High hosted a ceremony in honor of Sonia. A tree was planted in her honor. On Jan 28, 2005 a "Celebration of Sonia's Life" was held at City Park in Fort Collins. Over 500 people attended the event.